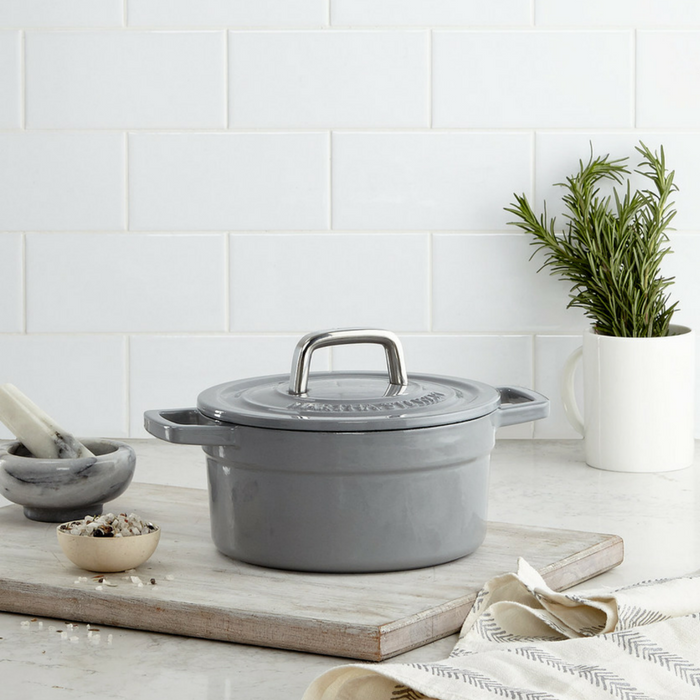 Martha Stewart Cast Iron 2-Quart Dutch Oven Just $24.99! Down From $100! You are here: Home / Instagram / Martha Stewart Cast Iron 2-Quart Dutch Oven Just $24.99! Down From $100! For a limited time only! Hurry over to Macy’s where they are offering this Martha Stewart Cast Iron 2-Quart Dutch Oven for just $24.99 down from $99.99 PLUS FREE shipping for orders $49 and above! Great chefs know the versatility and aesthetic value of enameled cast iron. This 2 quart casserole from Martha Stewart Collection is perfect for slowing cooking and goes from oven to table with style and ease. Choose from different colors! Buy now before it’s too late!